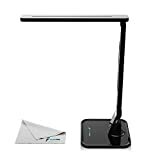 Etekcity LED Desk Lamp, Flexible Gooseneck, Touch Dimmer, USB Port is currently selling at $21.99, approximately $1.64 higher than average. With a lowest price of $17.99 and an average of $20.35 it is selling on the high end of its usual range. Price volatility is 0.45% (meaning it does not change often), so you might have to wait a while for the price to drop. Right now this product is a recommended 'ok deal'. 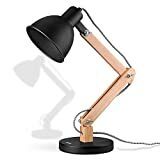 Compare the current price, savings (in dollars & percent) and Buy Ratings for the top Desk Lamps that are closely related to Etekcity LED Desk Lamp, Flexible Gooseneck, Touch Dimmer, USB Port. 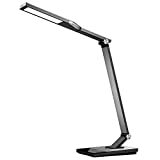 Here is how Etekcity LED Desk Lamp, Flexible Gooseneck, Touch Dimmer, USB Port compares with other leading Desk Lamps. 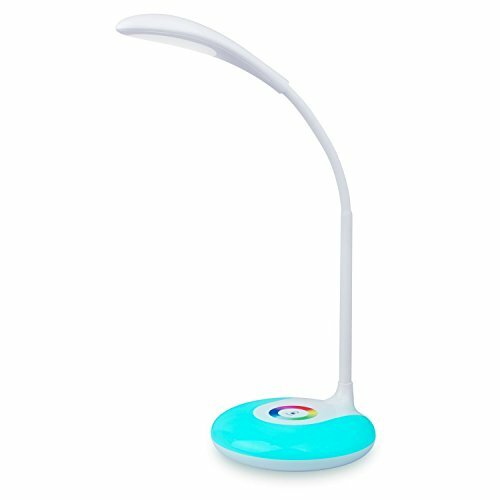 Warranty?Worry free, 90-day return refund guarantee24-month warrantyFCC, UL Listed, DOE VI Certification FeaturesCare Your Eyes - Energy-efficient LED provides flicker-free lighting for reading, working, studying and sleeping.Colorful Night Light Base - Choose the perfect mood of the atmosphere with a full color spectrum of base lighting control.Touch Control - Sensitive touch control for easy lamp brightness and the color of the night light base adjustment.Mobile Use - Rechargeable 1000mAh Li-on battery for everywhere using and light up to 2.5-6 hours for wireless using.